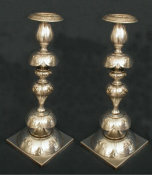 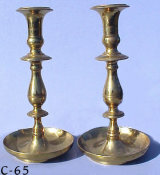 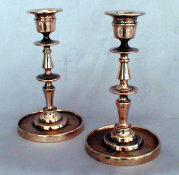 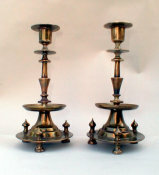 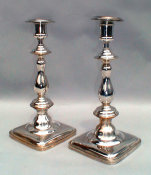 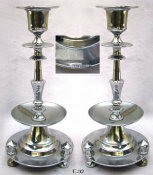 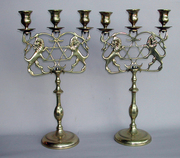 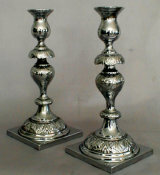 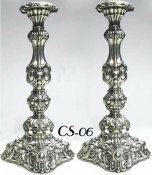 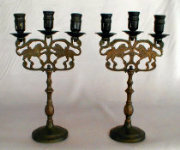 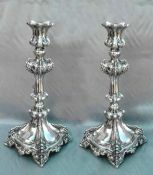 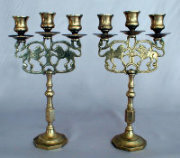 A pair of Polish Sabbath Candlesticks, c. 1890, made in Warsaw. 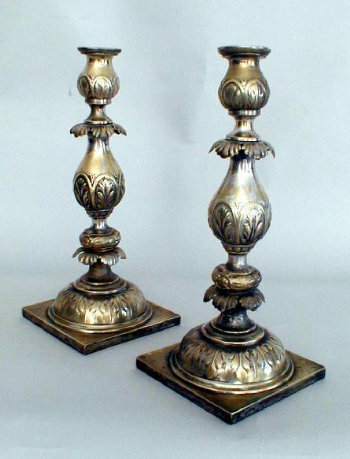 Each with bulbous stem chased with leafy foliate motif. 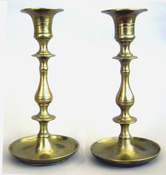 Set above and below with skirted foliated knops. 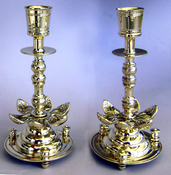 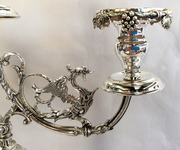 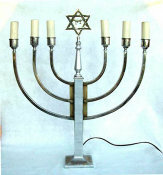 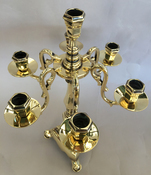 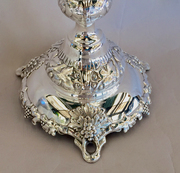 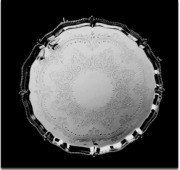 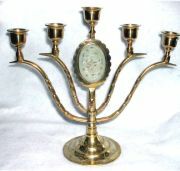 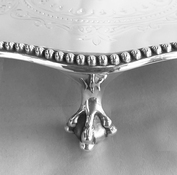 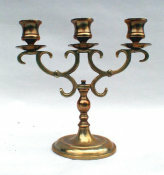 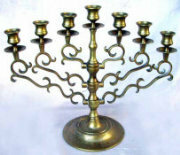 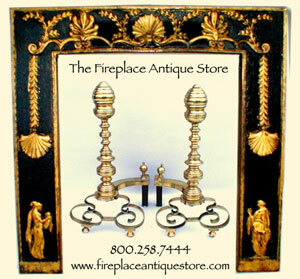 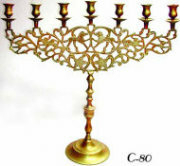 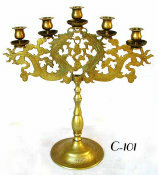 Thick walled construction, with original silver plate worn to brass with silver traces.